The airlines and aircraft pages behave in similar ways. 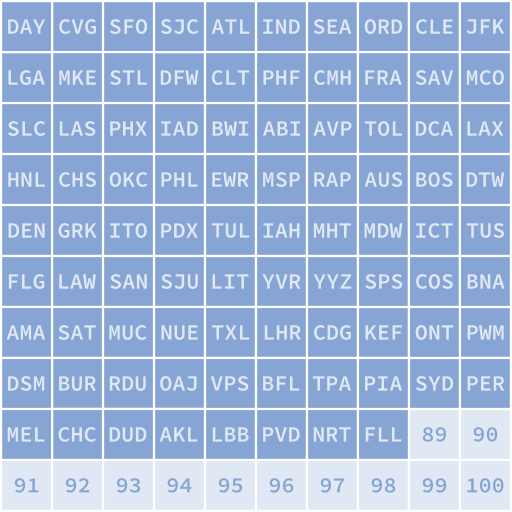 The airlines page shows a list of airlines I’ve flown and the number of flights on each, sorted by number of flights. 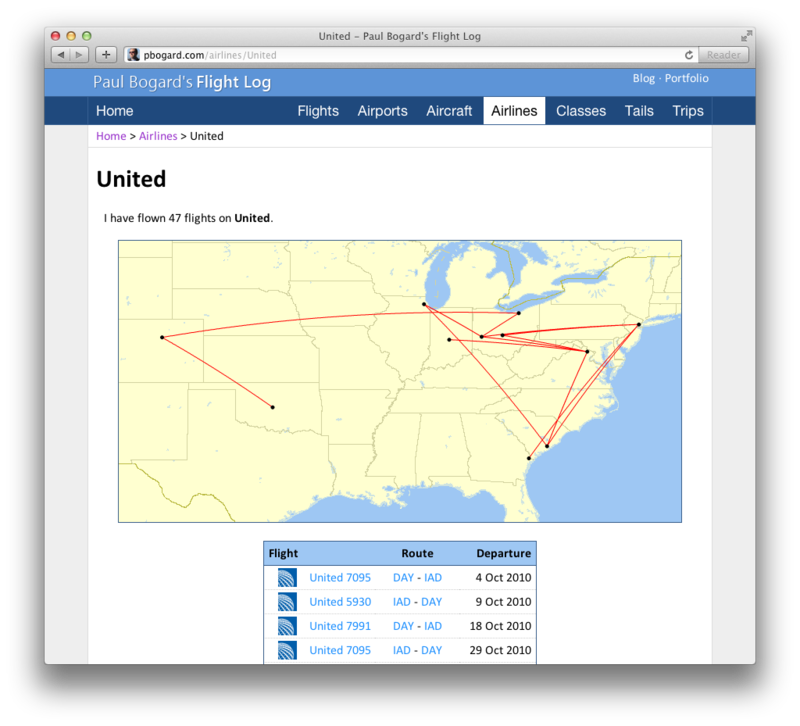 15 SEPTEMBER 2013 UPDATE: I have since found an error in my data, and the two flights that I had listed as Continental Airlines were actually flown on American Airlines. 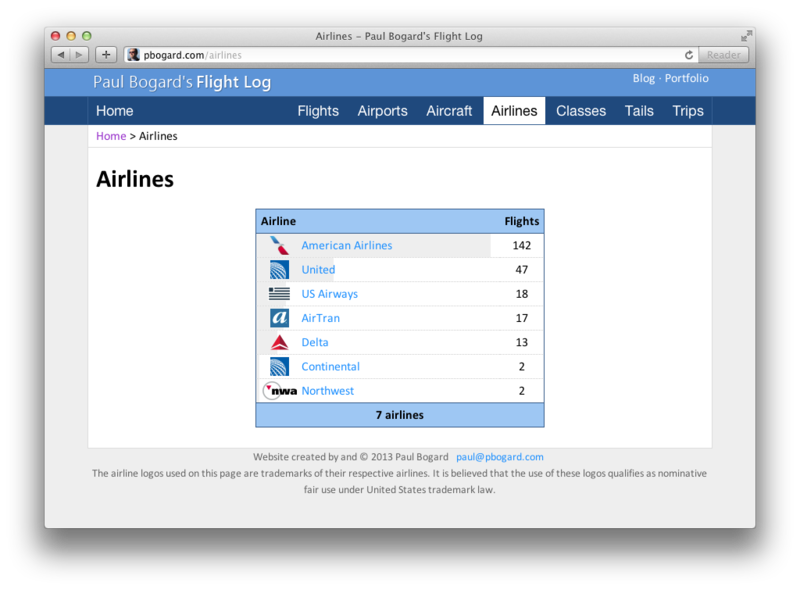 This screenshot is now slightly incorrect, but the flight log has incorporated the correction. 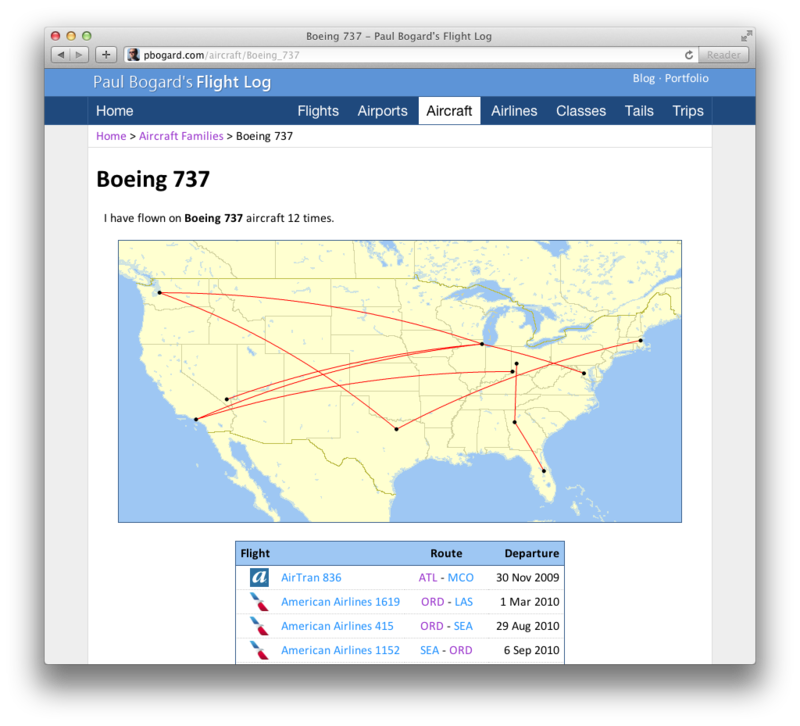 When codeshares are involved, I use the airline and flight number of the operator of the flight. Regional subsidiary airlines are listed as the parent airline. 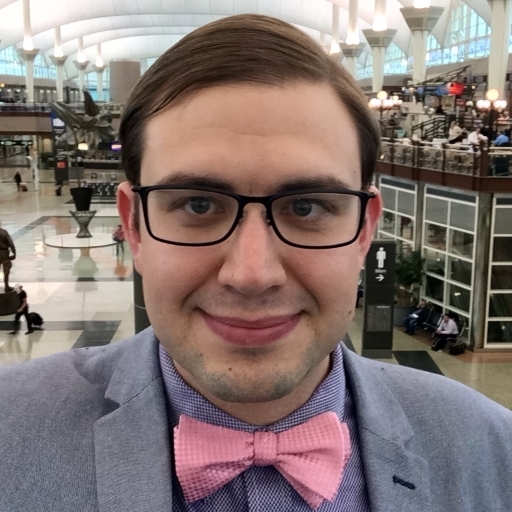 For example, all American Eagle flights are listed as American Airlines, and all flights branded as United Express are listed as United flights, regardless of which subsidiary airline actually operates it. Airlines which have gone through a merger since my last flight are still listed as the airline they were on the date I took the flight. Thus, my flights on Continental and Northwest are not now considered United and Delta flights. 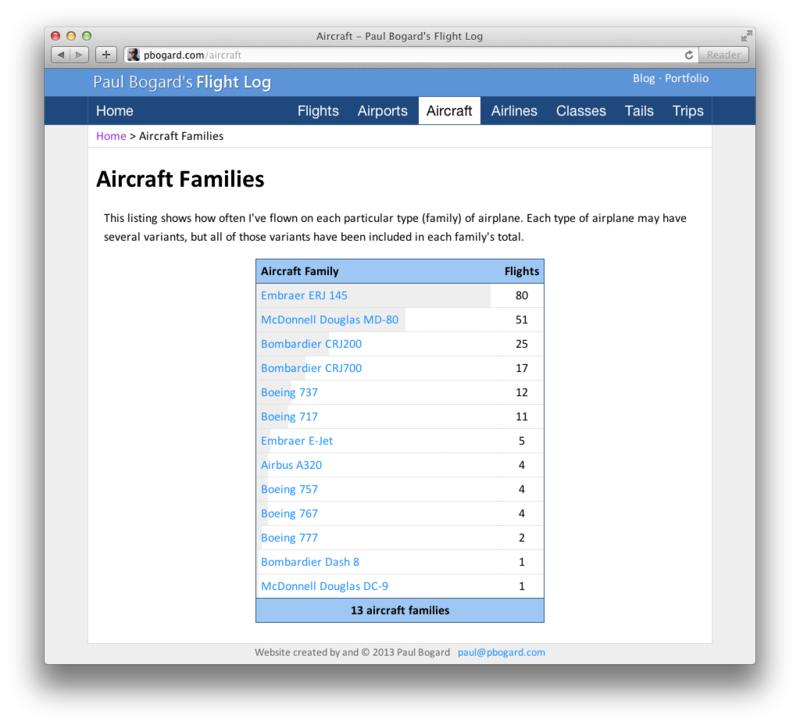 The aircraft families page shows a listing of all aircraft families I’ve flown. A large portion of my flights are on regional jets; a hazard, I suppose, of living near Dayton, Ohio. Note that I do not know the aircraft for every flight I’ve taken (particularly older flights), so those flights are not included in this listing. The next entry will discuss the final two sections – classes and tail numbers.